A Louisiana trooper died Monday after he was shot by an apparently stranded motorist who stood over the officer and told him afterward, "You're lucky — you're going to die soon," state police said. The roommate of the trooper's alleged shooter was found dead Monday, and his death is being investigated as a homicide, authorities said at a press conference. 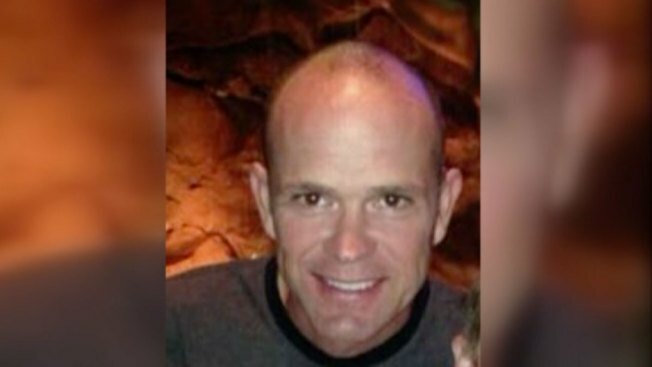 Senior Trooper Steven Vincent, 43, died at a hospital in Lake Charles after being shot in the head over the weekend by a man whose pickup truck was stuck sideways in a ditch, Col. Mike Edmonson said. "This loss exacts an enormous emotional toll on the state police family, but we will do what is necessary and proper to honor Steve and support those who knew and loved him," Edmonson said in a statement Monday morning. 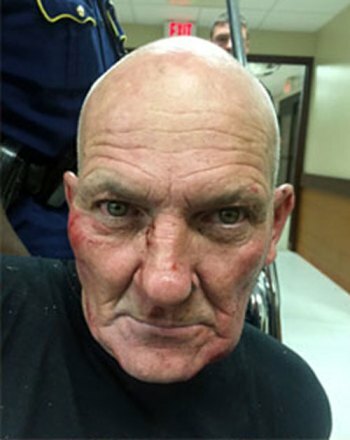 Edmonson said Kevin Daigle, 54, of Lake Charles, was under arrest at a hospital where he was taken after other motorists saw the fallen policeman and wrestled Daigle to the ground. Police video showed Vincent, a 13-year state police veteran in southwest Louisiana and member of a law enforcement family, very professionally trying to talk a man out of the vehicle stuck sideways in a ditch, Edmonson said during a news conference Sunday. "That shotgun wasn't to do anything else but hurt someone. Kill someone," Edmonson said. "You could hear him breathing, telling him, 'You're lucky. You're lucky — you're going to die soon.' That's the words that came out of his mouth," Edmonson said. He said two or three drivers stopped immediately, one of them spinning around on the two-lane highway. That driver wrestled the shotgun away from Daigle, and, with the others, got him to the ground, and snapped Vincent's handcuffs on his wrists, Edmonson said. As far as he knew, he said, the good Samaritans were unhurt. Daigle's roommate was found dead Monday, and he is also suspected in this case, a sheriff said. The man was found dead in a home he shared with Daigle in Moss Bluff, Calcasieu Parish Tony Mancuso said Monday at a news conference. Edmonson said Daigle had "numerous DWIs" and other arrests that he wouldn't discuss because he didn't know whether they resulted in convictions. Daigle faces charges including attempted first-degree murder of a police officer, Edmonson said. Sgt. James Anderson, southwest Louisiana spokesman for state police, said Daigle was hospitalized for injuries he suffered while the other motorists subdued him. "He struggled with the guys who came to assist — had some scrapes on him and so on," Anderson said. Both Daigle and the trooper who was shot are white, he said. Edmonson said Vincent leaves behind a wife, Katherine, and a 9-year-old son, Ethan. Edmonson said one of Vincent's brothers is also a state trooper, while another is police chief in the nearby town of Iowa. "His family lives and breathes law enforcement," Edmonson said.